After a close brush with Hurricane Irma, Miami Beach hotels have rolled out the welcome mat with a number of October enticements. If you were planning to wait until next year to make a visit, it might pay to move up your arrival. Florida has some great beaches, but Miami Beach may be the most well-known. 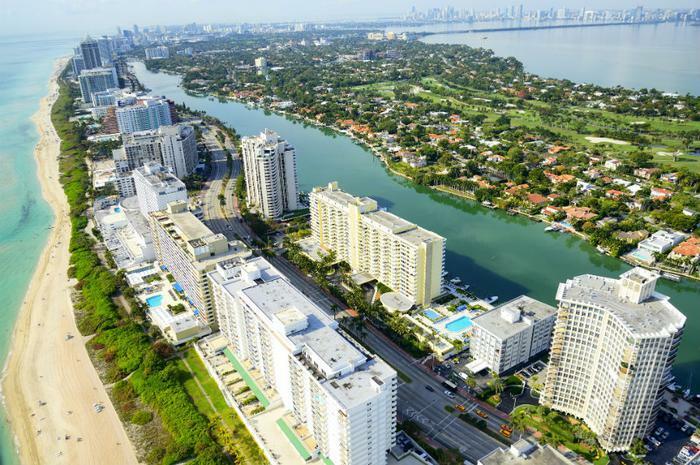 It sits astride natural and man-made barrier islands with the Atlantic Ocean to the east and Biscayne Bay, (separating the beach from the City of Miami) to the west. In addition to its white sandy beaches, Miami Beach is also known for its famous hotels that have drawn visitors from all walks of life for decades. The Miami Beach Visitor and Convention Authority says, with the passage of the hurricane, the city is back in action. "We are so thankful that Miami Beach weathered the storm well," said Peggy Benua, Chair of the Miami Beach Visitor and Convention Authority. Benua is also general manager of Dream South Beach, a famous Miami Beach hotel. Dream South Beach currently provides incentives for booking directly on its website, including a discount of up to 30 percent. It also welcomes guests who arrive after 3:00 pm with a complimentary drink and free room upgrade, if available. Guests may also check out as late as 2:00 pm. Dream South Beach is located in the middle of the city's famous Art Deco District, occupying the shells of two iconic hotels from a bygone era -- the Tudor Hotel and Palmer House. Five blocks away is Delano South Beach, offering its own enticement to travelers. A three-night stay Sunday through Thursday can get you up to 25% off on a luxury suite and a complimentary breakfast for two. Book your suite online through the hotel's website and you can get a $50 food and beverage credit. Other hotels along the city's famous oceanfront include the Fountainebleau, completely restored to reflect its rich history; Loews Miami Beach, a South Beach icon which just underwent a $50 million renovation; and the Redbury South Beach, a boutique hotel featuring 69 rooms and suites. Many of Miami Beach's famous hotels are located on Collins Avenue amid restored art deco buildings that earned the district a spot on the National Register of Historic Places. Most of the buildings that make up the Art Deco District were built as Miami Beach became a tourist Mecca between 1923 and 1943. The ocean may be Miami Beach's main attraction, but there are plenty of other things to see and do, including South Beach's thriving night life. According to the Greater Miami Visitors and Convention Bureau, LIV, located in the Fountainebleau, is the place to see and be seen against the backdrop of the music of world-renowned DJs. South Beach night life doesn't have to end with the sunrise. At Mango’s Tropical Café, you can start with breakfast, party through lunch, take a quick break for dinner, and stay all night enjoying the tropical and Reggae beat. Miami Beach is served by Miami International Airport. In addition to serving just about every domestic airline, Miami International is a gateway from the Southern Hemisphere. The airport, a major American Airlines hub, took a hit during Hurricane Irma but is back at full capacity. The airport is about a 30 minute drive from Miami Beach.